Do you beat yourself up after a mistake during a match? Do you it difficult to move on after a mistake on the court? 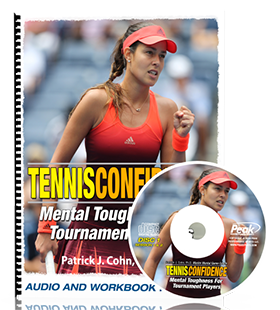 Many tennis players I’ve worked with on the mental game unravel after mistakes and it can snowball into tanking or giving up altogether. If you get angry with yourself on the court, most likely you have high expectations for your performance. The problem is that you dwell on the mistake for several points and were unable to get back on track with your game. When you respond harshly to mistakes, your performance deteriorates and this can spill over into future matches. A key to a strong mental game is being able to cope with mistakes so you can get to the next point free of the dwelling. What’s a positive way to deal with mistakes? 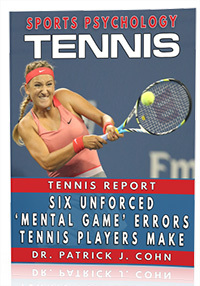 First you want to understand that mistake-free tennis is an impossible notion. 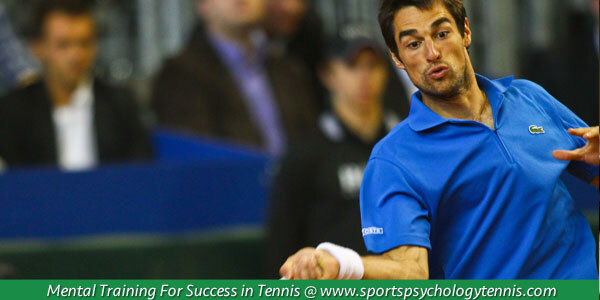 In order to respond positively to mistakes, you need to accept hat you will make some mistakes during a match. Accepting that mistakes will happen does not mean you are settling for less than your best. Your goal in tennis is winning points and games, not perfect performance. How can you view mistakes as an advantage? Responding positively requires that you view mistakes as feedback to adjust your game in order to achieve better results. This approach to mistakes keeps your head in the game instead of giving up on yourself and the ability to hit winners. With this positive approach to mistakes, you can lessen the amount of pressure you place on yourself, enjoy tennis more, perform optimally and achieve more of your potential. Tip #1: View mistakes as an opportunity to improve, not a death sentence. A mistake points you in the direction of how to do something better. A positive response to mistakes should help you play better rather than negatively alter your game. Tip #2: Improve your body language after a mistake. By altering your body language, you can lessen the emotional impact of mistakes. Instead of lowering your head and slumping your body (negative body language), empower yourself with positive body language (head up, shoulders back and breathe deep). Agreed! You made a mistake, that’s fine! Just walk away and learn something from the moment. Don’t carry that mistake into the next play and the next and the next because it will only drag you down.